I'm always excited to find an old rustic barn to include in a landscape composition. 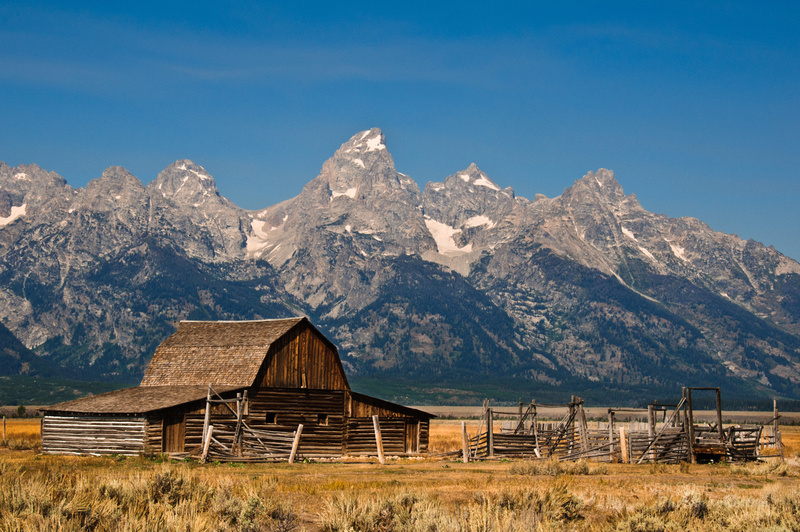 Imagine my delight then to have had the opportunity to shoot a couple of the most photographed and iconic barns in the world - the "Mormon Row" barns of the Grand Teton National Park. My wife and I just returned from a two week trip visiting family in the western part of the United States. A slight course deviation on the return trip took us right through the Teton and Yellowstone National Parks. We're still busy unpacking and recovering from the 3,800 mile round trip, but I promise to blog more about the experience and share more images in the coming weeks. The above image and many others are available for purchase in my fine art prints gallery. Enjoy.